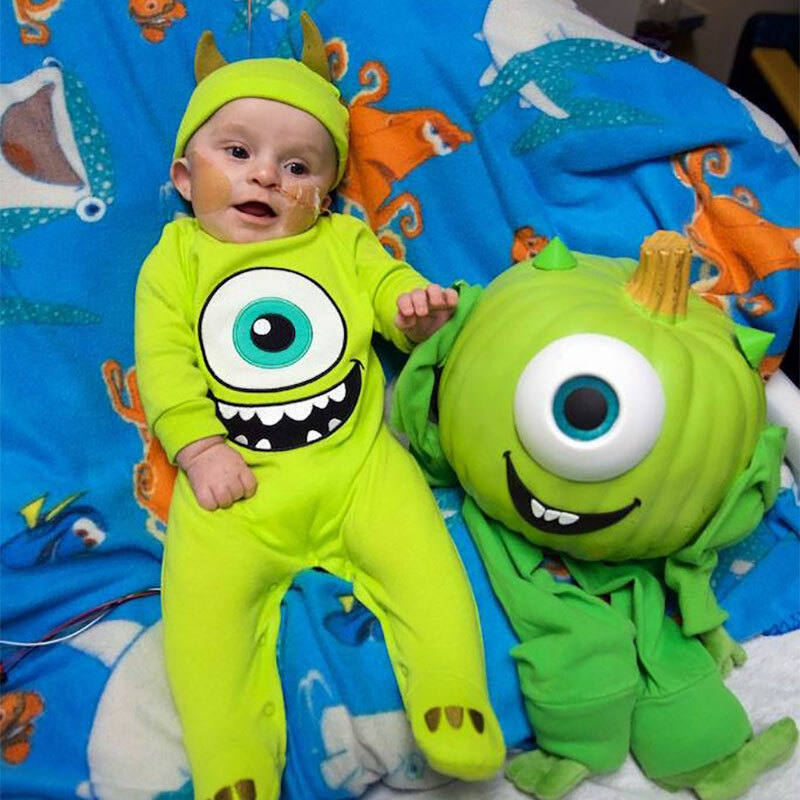 There were plenty of boys and ghouls featured in our October “In the Moment” photos. We invite you to take a glance at those you may have missed, or a second peek at those you’ve already enjoyed. 1. From classic to creative, our staff went over-the-top for Halloween. They had fun and, most importantly, made the children smile. 2. Not only does 10-year-old Alayna Mendenhall have a beautiful smile & blue eyes, her playful sense of humor and self-esteem are getting her noticed. She refuses to let a physical disability limit her life. 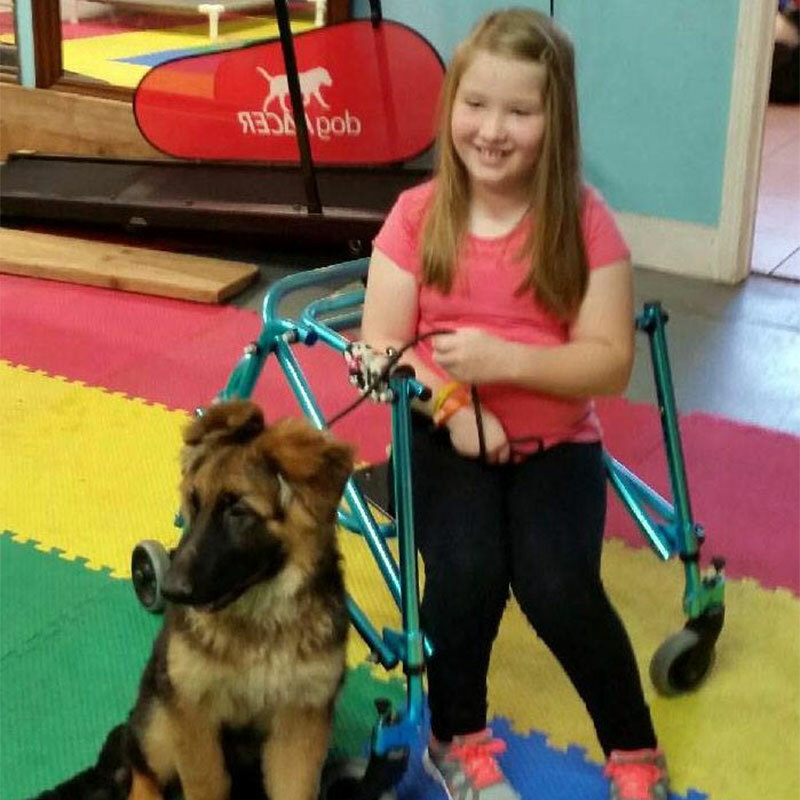 See how she’s overcoming spina bifida and determined to get a service dog. 3. 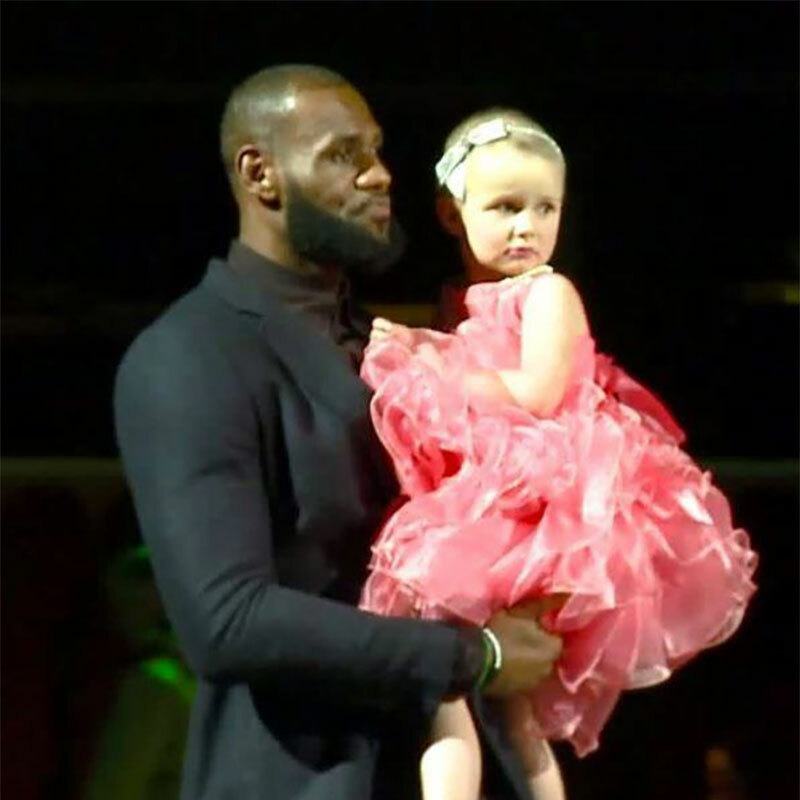 Social media lit up with selfies of Cleveland Cavaliers players with pediatric cancer patients at the “Big Shots, Little Stars” fundraiser. 12 of the Little Stars were our patients. 4. The nurses had a funny feeling that someone was watching them—always watching them. Turns out Xander was keeping an eye out when fun pumpkins arrived to brighten the day for patient families. Thanks for the donation and making us all smile. 5. 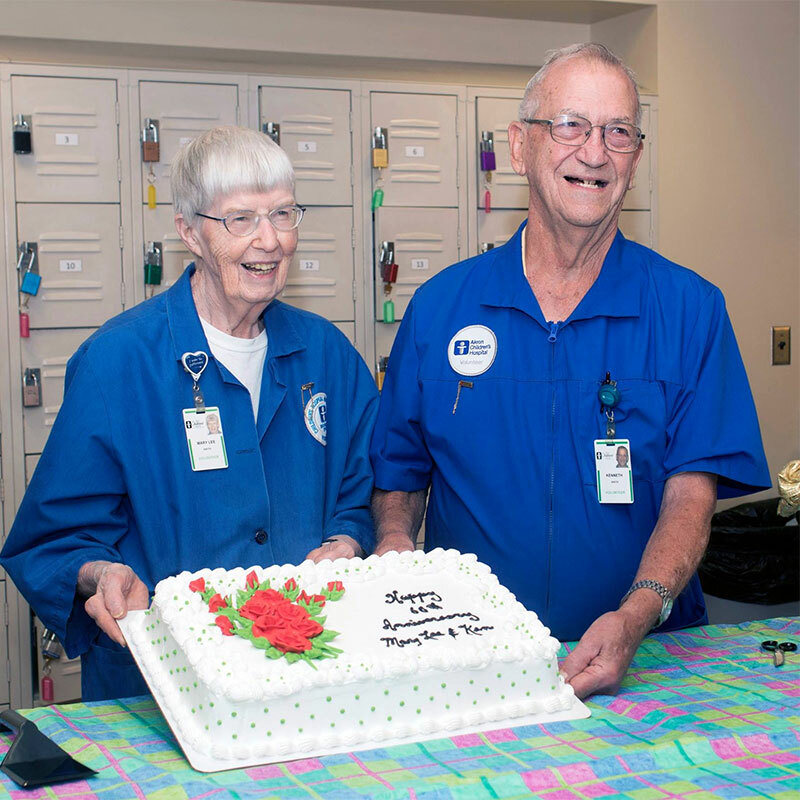 Ken and Mary Lee Smith celebrated their 60th wedding anniversary with our other volunteers. They have volunteered at the errand desk, outpatient pharmacy and the medical library. Ken started in 1993, while Mary Lee followed in 2001. They have collectively volunteered over 16,900 hours! 6. When a sinus infection moved into 6-year-old Dominic’s brain, neurosurgeon Dr. Gwyneth Hughes performed a nearly 6-hour emergency surgery. 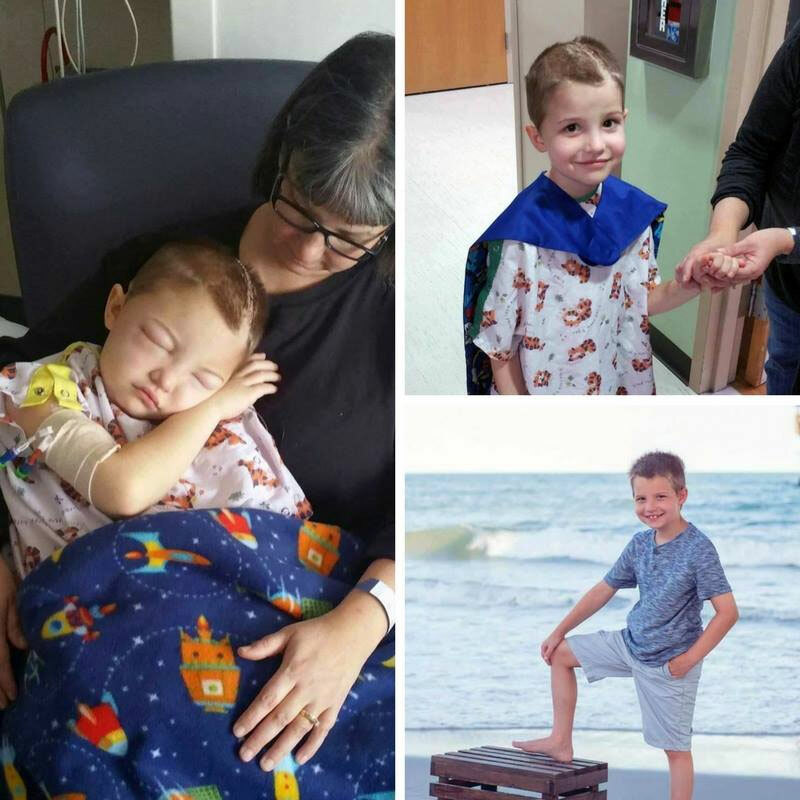 Eight days, 62 staples, and a cape later, Dominic was sent home and is doing great. 7. Alayna got a service dog! 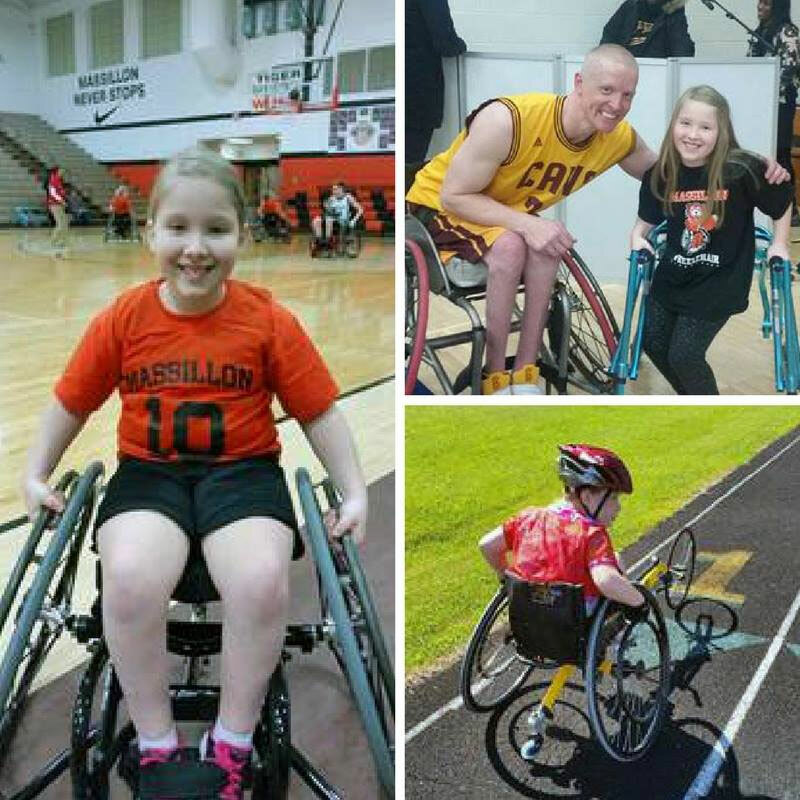 We shared her story for spina bifida awareness month and are thrilled her dream came true. She told the sweet story on how Shadow chose her. 8. 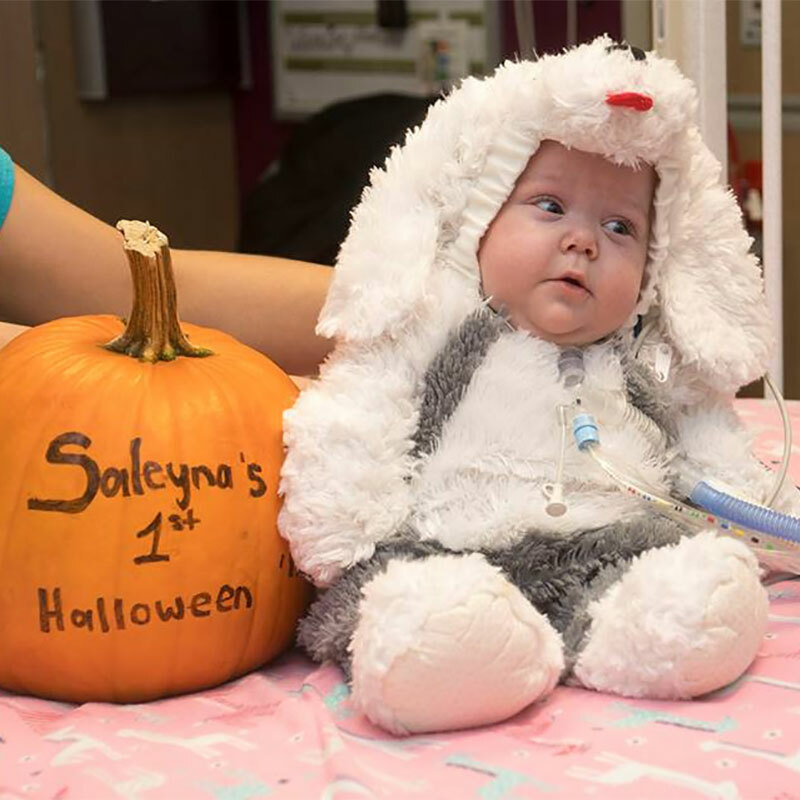 At just 9 days old, Kaedyn suffered seizures and was life flighted to us. 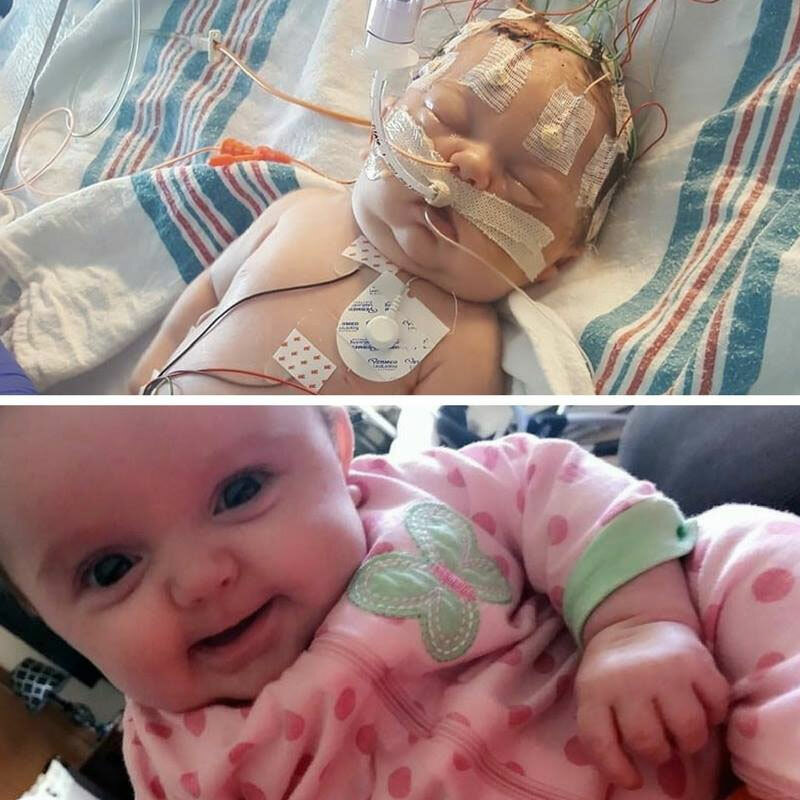 PICU staff worked to save her from a bacterial meningitis infection in her brain. She returned home after 22 days with more hurdles ahead. 9. 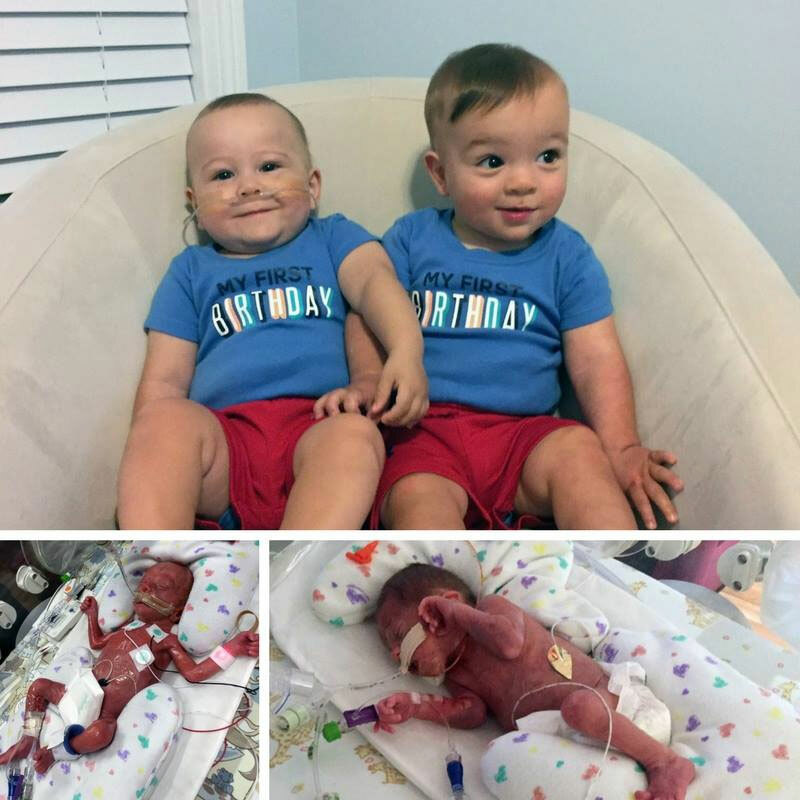 For 7.5 months, the Orendorf twins Connor and Grant called our NICU home. Their family looked back on that long, rocky journey to offer advice and hope to others. 10. Cat got your tongue? 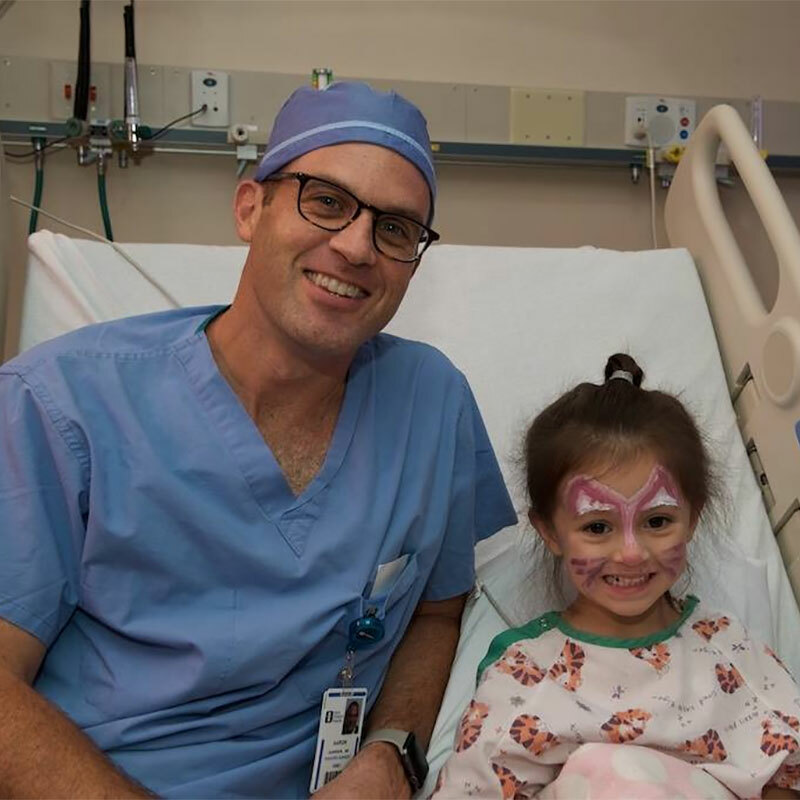 When Dr. Aaron Garrison stopped by to check on 3-year-old McKenna Ryan following surgery to remove a choledochal cyst and her gallbladder, he was a bit surprised to find an adorable kitty instead. Mom Eden Ryan said painting McKenna’s face was the purrrfect way to cheer her up.